If you have three days and are not camping on-site but you’re looking for easy hikes, here are my suggestions. Bear in mind this trip was done during the month of January, which is off-season. Not as many visitors were on the trails. The first day was a long 9-hour drive from Houston to Alpine with some fuel and bathroom stops along the way. Spent night in Alpine. From Alpine, drove 90 minutes to the Persimmon Gap entrance of Big Bend. Hiked the Lost Mine Trail, which is well marked and is 4.8 miles roundtrip. Depending on your level of fitness, you can take up to 2 hours one-way. Level of difficulty is moderate to strenuous. Initially, you’re gradually climbing. The views up top are nice. The hike back down is easier than hiking up. Beware that the main parking lot for this trail is small and gets full quickly. If you start early, I recommend the Window trail next. We did not have enough time to complete the hike as the sun was about to begin setting. The trail is only a few minutes away by car. It’s a good spot for a sunset. Spent the night in Terlingua. Drove into Big Bend National Park and passed through the tunnel near Rio Grande Village. Great photo spot! Next was Boquillas port of entry. Make sure to bring your passport and cash. Crossing the border into Boquillas, Mexico is very easy. You can take a rowboat across the river for $5 roundtrip. After crossing the Rio Grande, you have the option of riding a horse ($8 roundtrip), donkey ($5 roundtrip), walking (free), or using a car ($5 roundtrip) to get into town. When you arrive at the customs office, you’ll have to fill a form, pay $2 per person, and you’ll receive two passport stamps. There are only two restaurants. Both serve Mexican food and drinks. Went to Boquillas Restaurant and ordered goat tacos and a margarita. 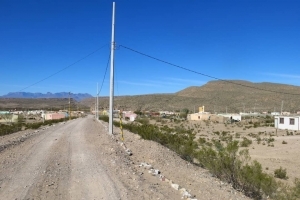 Boquillas has a population of 200 inhabitants so there isn’t much to do. If there isn’t a crowd of tourists, you can expect to spend a minimum of 2 hours roundtrip. After Boquillas, we drove to the start of the Grapevine Hill Trail. It’s a gravel road. The trail is 2.2 miles roundtrip. It starts off flat and easy. The hike to the Balanced Rock becomes very steep and there are no rails for 0.5 miles. The overall scenery is nice. 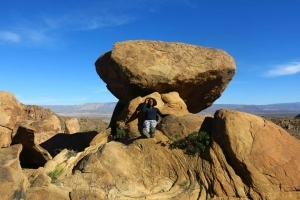 The big Balanced Rock sits atop two large boulders. Explored the town of Terlingua, which is known as a ghost town. There are a few restaurants, a cemetery, tepees, and the famous Starlight Theatre. No Walmart, no McDonalds, no Starbucks. No franchise in sight. Started the day at Santa Elena Canyon. 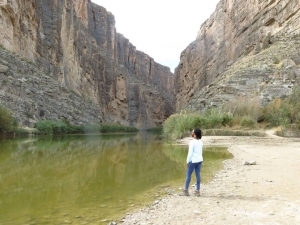 To reach the canyon, you must drive Ross Maxwell Scenic Drive, which is beautiful and makes the semi-long commute from Terlingua to Santa Elena worthwhile. There are several vistas, overlooks, and trails along the way. You can stop at the overlook to get a comprehensive view and then do the trail, which gets you up close and personal. Best to do the drive on a sunny day. Gorgeous views all the way around! 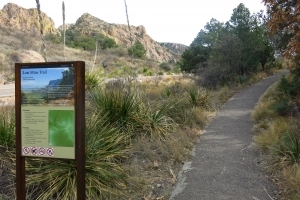 The Santa Elena trail is a mile roundtrip and easy to moderate. There are steep steps hiking up to the canyon but besides that, it is a fairly easy trek. Another great spot to take photos! From Big Bend National Park, we drove towards Presidio for a scenic ride. You enter into Lajitas on the way then Big Bend Ranch State Park, which is where the scenic road starts. Much more scenic than Ross Maxwell. The drive on FM-170 is said to be one of the most scenic highways in the US and I now understand why. 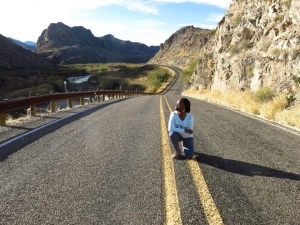 This drive is breathtaking and awe-inspiring with so many different terrains and views along the way. We found ourselves stopping multiple times to capture the moment. 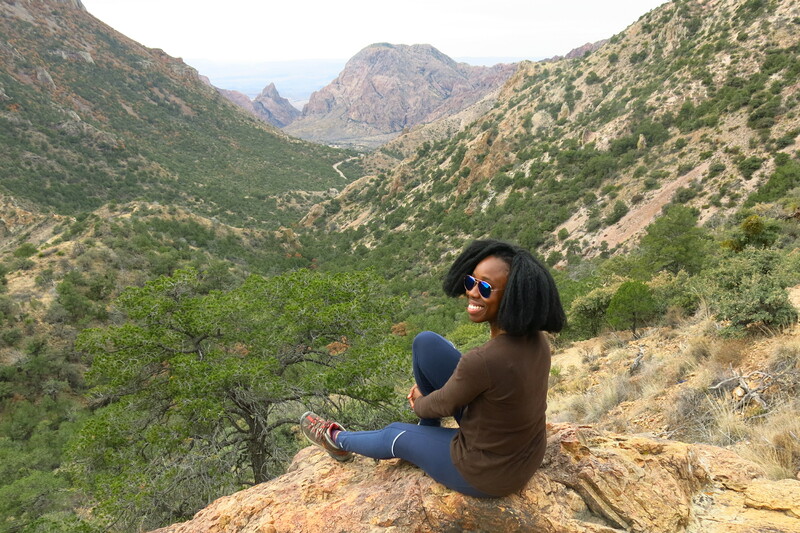 I highly recommend checking Big Bend Ranch State Park as part of your trip. So do yourself a favor and do this drive! Before returning to Alpine, we drove to Prada Marfa. It’s an art exhibit in Valentine (about 30 minutes from Marfa). 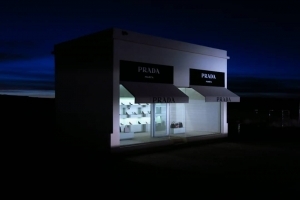 The Prada Marfa looks like a Prada store located off the highway in the middle of nowhere, complete with glass windows that show displays of shoes and purses. It was created by artists Elmgreen and Dragset and installed in 2005. Drove 7 hours from Alpine back to Houston. 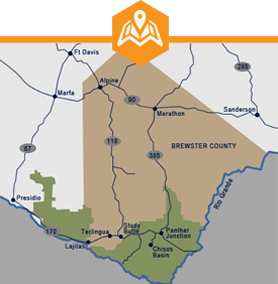 Big Bend National Park is a vast, beautiful expanse of mountains and desert. I suggest spending a few extra days if you can to really see more Big Bend Country.